A lecture series organised by the Leo Baeck Institute London, the Jewish Museum, Frankfurt am Main and the Fritz Bauer Institut, Frankfurt am Main in cooperation with the German Historical Institute London. 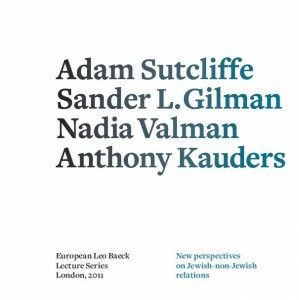 This season’s Lecture Series will discuss new perspectives on Jewish-non-Jewish relations. One aspect we will look at is the phenomenon of “philosemitism”. While it has an old tradition in English-Jewish history, it is a very new, post-Holocaust phenomenon in German- Jewish history. We aim to explore the ways in which approaches to Jews and Jewish history have changed throughout history in various political and cultural settings. Admission is free. Lectures will begin promptly at 7.00 pm. Places are strictly limited and must be reserved in advance by contacting the Leo Baeck Institute London (t: +44 (0)20 7882 5690 or email ). Recent treatments of philosemitism (in Germany) have dismissed the phenomenon either as non-existent, or as the tendency to reify the Jews, or else as a projection of Gentile fantasies. 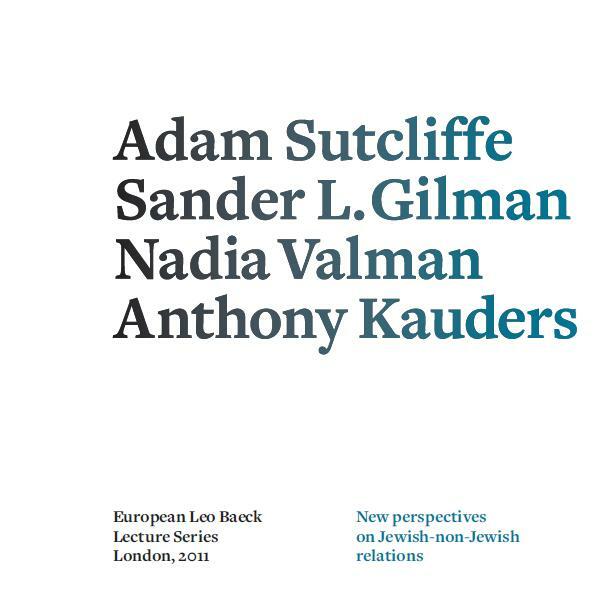 The lecture will attempt to redress the balance by arguing that the study of philosemitism may enable the historian to understand better the nature of Gentile-Jewish relations, thereby allowing for an alternative approach to the widespread scholarly focus on antisemitism. Dr Anthony D. Kauders teaches in the Department of History at the University of Keele. He is currently undertaking research on the German reception of psychoanalysis as part of a two-year grant by the DFG (German Research Council) at the University of Munich. Dr Kauders has published widely in the field of German-Jewish History. His most recent monograph, Unmögliche Heimat (Impossible Homeland), appeared with the Deutsche Verlags-Anstalt in 2007. The lecture is held at Pearson lecture theatre, Pearson Building, UCL, Gower Street, London WC1 6BT and will begin at 7.00pm.